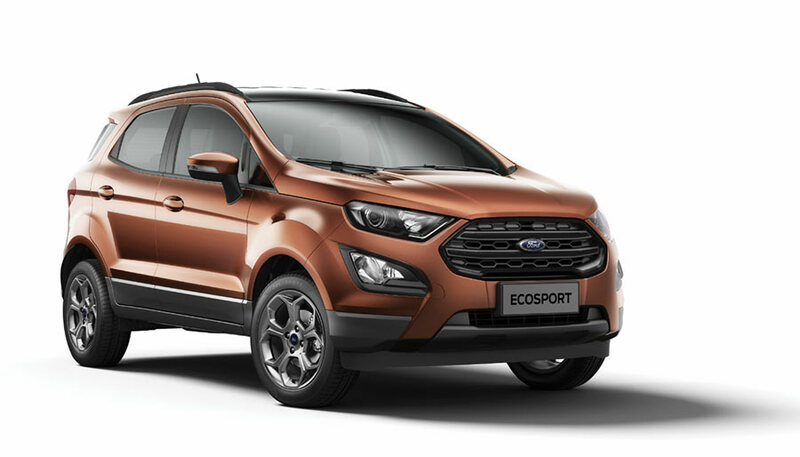 In its commitment to bring products, technologies and features that Indian customers want and value, Ford India today announced the expansion of EcoSport model lineup with a new top-of-the-line EcoSport S and Signature Edition. Donning trendier and sportier cues, both the new variants will come equipped with power slide sunroof, rechristened as fun roof. Strengthening its petrol & fun-to-drive credentials, EcoSport S has been paired with Ford’s award-winning 1.0L EcoBoost engine to woo driving enthusiasts. said Anurag Mehrotra, president and managing director at Ford India. Driven by customer feedback, the two new editions make our compact SUV even more stylish, trendier and fun-to-drive. The newly introduced top-of-the-line, EcoSport S variant, is replete with smart exterior changes that enhance the compact SUV’s imposing stance. It introduces all-new smoked HID headlamps with dark inserts and a more prominent black treatment to the fog lamp bezel. The dark theme has been carried all through the exterior design with a blacked out grille, black painted roof & roof rails and 17-inch smoke alloys for a more noticeable road presence. The interiors of the EcoSport S feature orange accents on the seats as well as instrument panel to break the monotony and add to the cabin’s premium appeal. For enhanced driver convenience, EcoSport S introduces a new, bigger 4.2-inch digital information cluster along with the Tyre Pressure Monitoring System. Strengthening the petrol line-up, the EcoSport S will be paired to Ford’s globally renowned 1.0L EcoBoost engine, delivering class-leading 125 PS of peak power and 170 Nm of torque to further enhance the compact SUV’s fun-to-drive credentials. Not just fun-to-drive, EcoBoost will stay true to its promise of being extremely efficient, offering a fuel economy of 18.1 Km/L and 12% lower CO2 emissions than conventional four-cylinder engines. It will be mated to an all-new six-speed manual transmission that offers slicker, more precise gear shifts to aid quick manoeuvres and overtakes. The EcoBoost engine has been recognized as a performance leader world over and has won International Engine of the Year Award consecutively for six years in a row. EcoSport S with Sun-roof is also offered with Ford’s trusted 1.5L TDCi diesel motor that delivers best-in-class 100 PS peak power and an outstanding fuel economy of 23 Km/L. This new variant will offer Ford’s best-in-class in-car connectivity system SYNC 3 with an 8-inch touchscreen. It will also continue to maintain Ford’s lead in safety with six airbags for all-around protection of occupants. 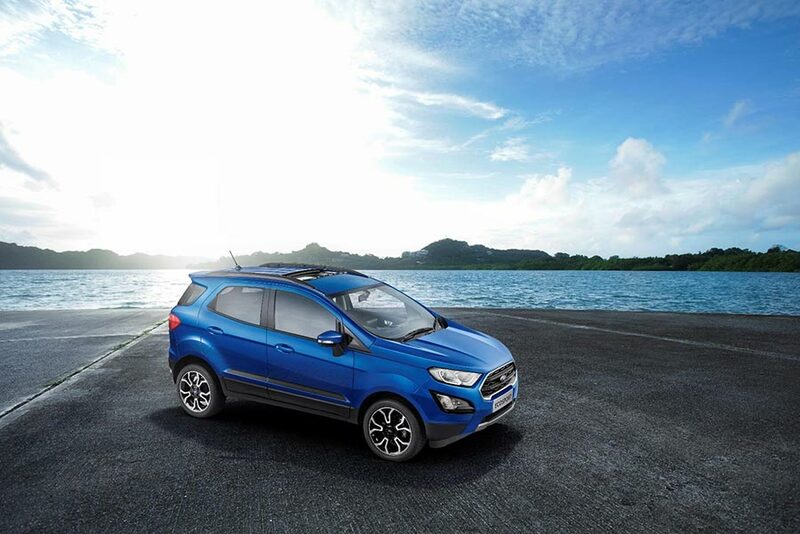 The fun associated with Sunroof will not just be limited to EcoSport S but also on the new Signature Edition. Strengthening the petrol offering, EcoSport Signature Edition will come paired to the 1.5L three-cylinder TiVCT petrol engine that delivers 123 PS of power and a fuel efficiency of 17 Km/L along with the trusted 1.5L TDCi diesel engine. An amalgamation of style and substance, the EcoSport Signature Edition will offer Ford compact SUV’s renowned performance credentials, with subtle design enhancements in perfect harmony. Signature Edition’s exteriors feature a series of changes to enhance the EcoSport’s visual appeal. It features a more imposing grille with chrome surround and Diamond cut 17” alloys, black fog-lamp bezel along with all round graphics, rear spoiler and roof rails. Its interiors will have subtle use of blue accents on seat stitching, centre console and instrument panel to add to its overall appeal. Customers can opt to buy the EcoSport Signature Edition as an option pack on the car’s Titanium variant.